Suzuki has announced the third of a series of new models, joining the Swift and Grand Vitara. 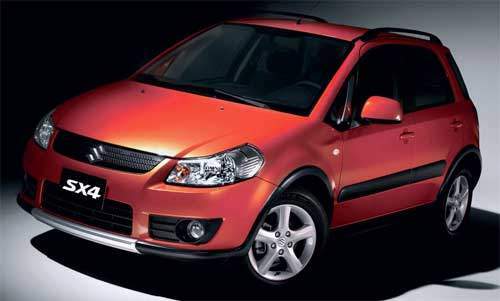 The SX4 is the Grand Vitara’s ‘little brother’ and it’s platform is a joint venture development with Fiat. Fiat’s model is called the Fiat Sedici. The Suzuki SX4 was styled by Giugiaro’s ItalDesign. The car is powered by a 98hp 1.5 litre petrol, a 106hp 1.6 litre petrol and a 118hp turbodiesel. The SX4 will also come with a 2.0 litre DOHC engine for the U.S. market. The transmission runs a three-mode all wheel drive system, which are 2WD, AUTO (AWD High) and LOCK (AWD Lock). Four speed auto or five speed manual transmissions are available. 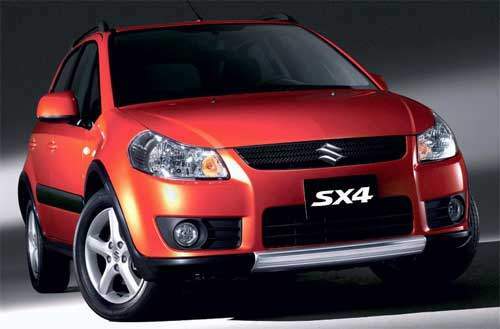 The Suzuki SX4 is expected to debut at the Geneva Auto Show in March 2006.